* IIPER is written and edited by Dr. Gordon M. Hahn unless otherwise noted. Research assistance is provided by Leonid Naboishchikov, Daniel Painter, and Daria Ushakova. July 2010 saw at least approximately 73 terrorist attacks and jihad-related violent incidents in Russia driven by the Caucasus Emirate jihad; the jihad-related incidents consisted of some 10-15 counter-terrorist ‘special operations’ undertaken by law enforcement. These 73 attacks/incidents led to at least approximately 18 state agents being killed and 52 wounded, 11 civilians killed and 49 wounded.This brings the total for the first seven months of this year to at least some 292 attacks/incidents, the overwhelming majority of which were attacks initiated by mujahedin. These 292 attacks/incidents have led to at least approximately 136 state agents killed and 247 wounded, 77 civilians killed and 258 wounded. Thus, the total number of casualties among civilians and state agents inflicted by the CE is 718. These figures include the May 26th car bomb explosion in Stavropol, which killed 7 and 41 civilians but which the authorities have thus far not attributed to the mujahedin. According to non-jihadi Russian sources, some 42 mujahedin were killed in July. According to non-jihadi Russian sources, in the first six months of 2010 Russian security and police forces have killed as many as 215 mujahedin, wounded 4-6, and captured as many as 120 mujahedin, approximately. Over two hundred facilitators have been captured approximately. Chechen law enforcement claims to have killed 49 mujahedin, facilitators and recruiters and captured or received surrender of 170 in the first half of this year. The CE continues to show a capacity to carry out operations over a larger geographical area than in recent years. As noted in IIPER, No. 16, the CE expanded its activity in the Republic of Kabardino-Balkaria (KBR) to a new level, and that level remains inordinately high as compared with past years. The unprecedented number of attacks in Kabardino-Balkaria, the March 29th Moscow subway suicide bombings, possibly the first attack in Bashkortostan (March) ever, and possibly the first in many years carried out in Stavropol (May) all demonstrate a more expansive reach. Ingushetia, which lost its lead within the CE jihad in April 2010 in terms of number of incidents, still places second – but barely — to Dagestan, with the mujahedin of the former having instigated some 61 attacks and incidents to the Dagestanis’ 79 in 2010’s first seven months of this year. The KBR has seen at least 60 attacks and incidents, but the Republic of Karachai-Cherkessia (KChR) – which also comes under the command of the CE’s United Vilaiyat of Kabardia, Balkarian, and Karachai or OVKBK – has also seen perhaps one or more attacks. Kavkaz uzel reported that Kalbardino-Balkaria saw 17 explosions, 8 shootouts/shootings, and 13 explosive devices disarmed between June 1st and July 20th. In sum, the OVKBK has become the second most active CE vilaiyat of the four presently active. The fall off in attacks in Chechnya continues, with only 48 so far this year, making it the least active CE vilaiyat. Dagestan continues to be most deadly for state agents, with at least approximately 72 killed there through July of this year compared to some 26 in Chechnya, 21 in Ingushetia and 16 in the KBR. On the other hand, Ingushetia has seen nearly as many overall casualties among state agents this year as in Dagestan, with some 111 (some 21 killed and 90 wounded), approaching Dagestan’s 169 casualties (72 killed and 97 wounded). Dagestan’s mujahedin have inflicted almost half of the 383 casualties among state inflicted by CE terrorists in Russia so far this year. The mujahedin in Chechnya have killed 22 state agents, the second largest number of state agents killed in any the four most jihadi-plagued republics; they have wounded 29 state agents this year. The Dagestani mujahedin have inflicted the most civilian casualties of all the regions in the North Caucasus (if one excludes the Stavropol car bomb attack), killing 14 and wounding 39, approximately. The March 29th Moscow subway suicide bombings remain the single most damaging CE operation, having killed 40 and having wounded 121 civilians. The month of July saw no successful or even attempted suicide bombing as compared to three failed attempts in May. The last successful attack was undertaken in June 30th by a male suicide bomber, who killed 1 and wounded 6 MVD militia and 2 civilians (see IIPER, No. 17). SOURCES: http://www.kavkaz-uzel.ru, http://www.ng.ru, http://www.izvestia.ru, http://www.kommersant.ru, http://www.kavkazcenter.com, http://www.jamaatshariat.com/ru, http://www.islamdin.ru, and hunafa.com. On July 29th the CE website Kavkaz tsentr published the text of a final “testament” made by suicide shakhid Abdul-Malik (born Islam Yakubov). A video of the testament by Abdul-Malik speaking in Chechen, appeared on Kavkaz tsentr on July 30th. Abdul-Malik undertook one of three failed suicide bombings attempted by CE mujahedin in May. His attack targeted the May 9th ‘Victory Day’ holiday commemorated throughout Russia in honor of the Soviet victory over Nazi Germany in the Great Patriotic War, as Russians refer to World War II. Abdul-Malik was shot and killed in Chechnya’s capitol in the morning of May 9th as he tried to detonate his explosives when police stopped him to check his papers some 300 yards from a MVD checkpoint. There were no other casualties in the shootout besides the would-be bomber. “Brothers go to Jihad! Commit Jihad! I swear to Allah, whether or not you go on Jihad or not, the Jihad is moving towards you! I swear to Allah that the train is leaving! If you wish to become a passenger, then forward to the train! If you are late, the train will leave. “I swear by Allah, Allah does not need our Jihad and our prayers! Allah says in the Koran that He needs nothing. It is we who need it…. “O, if you only knew how much I love my mother! She gave birth to me, she taught me, and brought me up to the present situation. But despite all my love for her, and this is the truth, I do not have the right to take her advice and stay home, because no one created by Allah from dust has the right to stay home listening to their mother having heard Allah. Your mpother gave birth to you, grew you and brought you up, but Allah made you and feeds you. You see, a mother is only the cause. Brothers, love your parents strongly, but when Jihad comes go to it without their blessing! Malik also appeals to Muslim women, telling them that the obligation to jihad extends to them and that they should strengthen their faith and not marry “wife-like apostates. Never!” He urges to marry only true Muslims, wear the hijab, cover their bodies, and be “God-fearing.” Addressing his fellow mujahedin, especially those from his jamaat under the command of Hussein Gakaev, Malik says he wants to hug them farewell, but it turns out that some of them are already there (in Paradise), and some here on earth. Overall, Malik’s testament is an emotional appeal to Muslims so that they might be moved to join their jihad encouraged by sympathy and admiration for Malik’s sacrifice and shamed by their own inaction. In this way, the CE is acting consistently with martyrdom culture and propaganda approach of other fronts in the global jihadi revolutionary movement. On September 3rd several suicide car-bombers attacked the local headquarters of Tajikistan’s Organized Crime Department in Hujand, Sogdo Oblast’ detonating their bomb-laden GAZ-24 automobile in the courtyard of the building. One policeman was killed in the blast, and 25-30 people were injured, according Gazeta.ru citing Tajik MVD chief of staff Takhir Normatov. Tajik law enforcement suspected the perpetrators to members of the Islamic Movement of Uzbekistan. According to the Caucasus Emirate’s site Kavkaz tsentr, the Tajik radio station ‘Ozodi’ (Liberty) reported there were 12 police corpses in Hujand’s city hospital. It also suggested that the attack was carried out by a group of some 25 “mujahedin” who had just recently escaped a Tajik “prison camp” on August 23. Tajikistan’s ‘Asia Plus’, cited by Russia’s Materik, reported that the group included people from Tajikistan, Uzbekistan, Afghanistan, and Russia. On September 8th Kavkaz tsentr published a statement from “Jamaat ‘Ansarullah’ in Tajikistan” claiming responsibility for the Hujand attack. Jamaat Ansarullah claimed the attack resulted in at least 50 killed and wounded and the destruction of the entire headquarters and was “in answer to the murders and torture of our brithers and simple Muslims which have occurred behind the walls if the place cursed by Allah.” Commenting, Kavkaz tsentr noted that Tajikistan president Emomali Rokhmon had blamed the attack on the IDU as it had previous attacks in 2005 and 2006 and that experts conclude that after the death of IDU amir Takhir Yoldashev, its activity has substantially declined. On September 6th an explosion ripped through the ‘Dusty’ disco in Dushanbe wounding seven. Several young people were arrested and were charged with ‘hooloiganism’ after sources in the Tajikistan National Security Committee first opened up a terrorism investigation. Tajikistan’s ‘Asia Plus’, cited by Russia’s Materik, reported on September 8th that a group of convicts who escaped from a detention center of the Tajikistan’s National Security Committee engaged Tajik National Guard troops killing one in eastern Tajikistan’s mountain Romit Gorge near the city of Vakhdat in Faizabad district. The report noted that Russian forces and intelligence were not involved in the operation despite previous reports that days earler Russian Paratroopers had landed near Garm However, the report noted that Russian FSB chief Alekasandr Bortnikov had stated earlier that on orders from President Dmitry Medvedev Russian intelligence was assisting the Tajiks. Kavkaz tsentr supported this latter view, obviously viewing the Tajik mujahedin as allies. Whether the disco bombing was really ‘hooliganism’and how many of the fugitive escapees on the run in the mountains were actually former mujahedin remained unclear. However, there can be no doubt with the Khujand suicide attack at least that jihadi terrorism has returned to Tajikistan. The succession of the then nationalist-oriented Doku Umarov to replace the popular Sadulaev seemed for many to spell trouble for the jihadists, upsetting plans Basaev had put in place – the formation of a council of ulme and a planned shura – to nudge Sadullaev toward resolving the split in the ChRI in the jihadists’ favor. Although Astemirov, now amir of the Kabardino-Balkaria Sector under the ChRI’s Caucasus Front, had not previously played a major role in top-level ChRI decisionmaking, he may have in the October 2007 decision to form the Caucasus Emirate. Astemirov took up the cause of Basaev and Khattab of convincing Umarov to complete the ChRI’s jihadization. Writing to Umarov, Astemirov urged him to break from “the law of tagut (man-made law) and raise only the Islamic banner without the tinges of shirk (blasphemy for placing oneself on Allah’s level)” he saw in the ChRI’s infidel-style institutions. He told Umarov that Shariah law and Islamic tradition allowed him to make this decision himself without convening a majlis. This latter conclusion he based on three points. First, Umarov would be held responsible for his own “soul and salvation on the Day of Judegement and only after that for the lives of his subordinates and military planning”; Umarov would “have to answer for this for himself before Supreme Allah.” Second, any kind of vote by a majlis or otherwise was impermissible, as “there is no choice in the taking of decisions by them, if Allah and His Messenger have already made a decision. And he, who does not heed Allah and His Messenger, has fallen into an obvious delusion.” Accordingly, the decision of the summer 2002 Majlisul Shura that established “the principle ‘The Amir is one vote in the Shura’…contradicts Islam and is an innovation borrowed from the infidels.” This was perhaps an even more authoritarian model than that which he helped run in the JKB. Astemirov writes that Umarov answered that all these issues were clear to him, and he had no doubts about what ought to be the nature of their future state. However, Astemirov also claims that in previous letters Umarov had emphasized that he was fighting “on the path of Allah only for Islam and only for the Shariah law.” Umarov even said he had already made a decision on declaring the Caucasus Emirate and was waiting for “one of the old mujahedin” to arrive and help him draft the announcement. Thus, it remains unclear to what extent Astemirov’s appeals drove Umarov’s decision. Astemirov portrayed himself as ‘holier than the Pope’ in some parts of the letter. He claimed that the Arab deputy military amir Abu Anas Muhannad wrote to him in October 2005 questionsing the legitimacy of a ban on fighting under the nationalist banner, which Astemirov as virulent jihadist opposed. Astemirov also justified the CE’s declaration of jihad against the U.S., Great Britain, Israel and all countries fighting Muslims anywhere by claiming that even a deputy to the KBR’s mufti has called on Muslim youth to jihad against “the American aggressors” in the Nalchik central mosque at Friday prayers. A more clear sign that Astemirov may have played a key role in Umarov’s decision to form the CE and that his own brand of radical jihadism had resonated with Umarov and now dominated the ChRI’s network of fighters was Astemirov’s appointment as the amir of one of the CE’s six velayats – the United Velayat of Kabardia, Balkaria and Karachai (OVKBK) – and simultaneously as the qadi (chief judge) of the Shariah Court for the entire CE. Astemirov’s appointment as OVKBK amir now put him in charge of a territory that included the Karachai-Cherkessia Republic (and perhaps the Republic of Adygeya) in addition to the KBR. Although Astemirov carried out his responsibilities as amir and qadi effectively, he achieved more as CE qadi and what he achieved as OVKBK amir did not become apparent until his reign had ended. In 2008, Astemirov founded the OVKBK’s website, Islamdin.com (www.islamdin.com). Although Islamdin.com functioned as the OVKBK’s mouthpiece and recruiting organ, its chief influence on the CE came with its evolution into the leading theological and a leading ideological and propaganda outlet for the CE and a vehicle fo establishing ties with one the global jihadist revolutionary movement’s key ideologists (see below). In March 2009 Astemirov moved to build up the OVKBK’s network by appointing four naibs (deputy amirs): his mentor Mukozhev, Abu Dudzhan Adam Dzhappuev (brother of Astemirov’s successor as OVKBK amir), Abdu-R-Rakhman Marat Guliev, and Abu Usman Zeitun Sultanov. They were authorized, and were the only mujahedin in the OVKBK authorized, to recruit new fighters and facilitators and collect the Islamic tax, the zakat. A declared emphasis on zakat collection by qadis also emerged across the CE at about the same time, a policy Astemirov pushed and led along with the leading Ingushetian indeed leading CE operative in 2008-2009, the ethnic Buryat and Russian Alexander Tikhimirov, know among the mujahedin as Sheihk Said Abu Saad Buryatskii. However, Astemirov’s ambitious plans were hindered when within three months of their appointment, all four of his naibs, including Mukozhev, were dead. Sultanov was killed on April 22nd, Guliev on May 20th, Dzhappuev on June 21st, and Mukozhev on May 11th in a shootout with police. The period of Astemirov’s tenure as OVKBK amir thus was not one of great or even modest operational success. The first two full years of CE’s and OVKBK’s existence saw a mere 58 terrorist attacks or violent terrorism-related incidents in the two North Caucasus republics that we know conclusively fall within the virtual OVKBK’s territory: 28 in 2008 and 23 in 2009 in Kabardino-Balkaria and 5 in 2008 and 2 in 2009 in Karachai-Cherkessia. This paled in comparison with the number of attacks carried out by the CE’s network in Chechnya, Ingushetia and Dagestan during this period: 287, 313, and 206 attacks, respectively (see IIPER, No. 8). However, Astemirov’s successor as OVKBK amir, Asker Dzhappuev, quickly engineered a sharp escalation in violence, with some 40 terrorist attacks and violent incidents in April-June 2010; that is nearly as many attacks in three months as had been leveled in the previous 27 months. Astemirov’s work may have set the stage for this precipitous increase in the OVKBK’s operational capacity. In a March 2009 interview to the Jamestown Foundation, he revealed that the OVKBK’s financial resources had become substantial, perhaps a consequence of zakat collections and/or the foreign political sponsorship of the Jordanian jihadi ideologist Abu Muhammad al-Maqdisi (see below). Astemirov claimed that the OVKBK was able to offer 35,000-50,000 rubles ($845-$1400 at the time) for a Makarov pistol thrice that offered by the MVD (10,000 rubles = $210) under a program for purchasing unregistered weapons instituted in 2009. Astemirov rejected assertions that the CE was being funded “by Western or Arab countries” as “a lie and myth” and claimed that the mujahedin had established a system of internal financial support based on zakat collection. He said rules and orders for collection were sent to all the local amirs on and that the mujahedin not only limited zakat collection from poor families, but were also able to provide assistance to families that had suffered under Russian rule. However, Astemirov also stressed that Muslims were obliged to assist the jihad by paying the zakat: “(W)e always recommend beginning with persuasion by the word and not weapons.” Another source of funding may be the very infidel and apostate authorities, against whom he is waging jihad. After Astemirov’s death in March 2010, Maqdisi published two letters his protégé wrote to him before his death. In one of them, Astemirov asks Maqdisi for Shariah-based advice about accepting offers of assistance that he claims the Caucasus jihadists have received from individuals – some in senior positions – in the Russian military, intelligence services, and government. Thus, corruption and cynicism continue to be factors facilitating jihadi terrorism in Russia. Thus, by December 2009, four months before his demise, Astemirov was claiming that the OVKBK’s fortunes were on the rise: “(T)he position of the mujahedin of our vilaiyat and (the mujahedin’s) strength is increasing with each day. In the last half year, by Allah’s mercy, our modest arsenal has increased several times. Many brothers have taken the course of study for combat preparation. By God’s mercy, the command staff has been fully restored, and our new amirs are successfully coping with their duties.” Thus, it is possible that these preparations would have come to fruition in the spring 2010 offensive under Astemirov’s command, if he had survived until then. Another possible explanation lies in the relationship he established as CE qadi with perhaps the leading global jihadi philosopher-propagandist of our time, Sheikh Abu Mukhammad al-Maqdisi. Last year IIPER noted Maqdisi’s growing support of, and influence on the CE jihadists, touched on more briefly below. Astemirov’s first decision as qadi was to pass a death sentence on the exiled, London-based ChRI’s ‘foreign minister’ Akhmed Zakaev for betraying the jihad unless he repents before capture; a decision strongly endorsed by Maqdisi as noted above. Until the CE’s creation in October 2007, Zakaev had remained inside the ChRI and allied with the jihadists while he debated with them on the merits of the semi-secular ChRI versus a fully theocratic state project. The tipping point in Zakaev’s banishment and condemnation after the Ce’s founding was his charge that the CE’s declaration was a false flag project designed by the FSB to divide and discredit the separatist movement. Astemirov’s ruling signified the complete defeat of the secular radical nationalists and the triumph of Astemirov and the jihadists. This new and important link between this leading global jihadi ideologist and the CE was strengthened by a correspondence that included letters and requests for Shariah rulings between Maqdisi and Astemirov. Astemirov sent Maqdisi his ruling as the CE’s qadi condemning Zakayev to death as an apostate; a ruling approved by Maqdisi on his site. Astemirov also asked Maqdisi to issue a Shariah ruling on participation in the 2014 Winter Olympics scheduled to be held in Russia’s Black Sea resort city of Sochi in Krasnodar Krai that once was once the domain of the Caucasus Circassians before Russian troops drove them out in the 19th century. Maqdisi ruled that participation is prohibited. Maqdisi also lauded Astemirov’s decision condemning Zakaev to death and much of his message consisted of excerpts from Astemirov’s fatwa against Zakaev. In fact, rather than regarding the CE as peripheral to the global jihad and its Islamist credentials as embryonic, Maqdisi holds the them up as models for the global mujahedin: “I say that the brethren on that land have reached a stage of clarity and maturity, Islamic knowledge and understanding and that they bring great good news in shaa Allah to Muslims and Jihad on that lands… Many of the Jihadi movements and the fighting movements on earth nowadays are in need of these lessons and examples. They need to pause at them and contemplate them and learn from them.” Such an endorsement was bound to help the CE raise additional funds and other forms of support across the Muslim world and throughout the global jihadi movement. It is this and perhaps even direct support coming from or through Maqdisi that explain at least in part the jihadi surge in the CE’s OVKBK beginning in spring 2010. Maqdisi’s stature within the global jihadi movement, of course, also benefits from his growing influence among the CE mujahedin. CE websites, most often the OVKBK’s Islamdin.com, frequently reproduce his publications and statements. For example, on 18 February 2010, Islamdin.com posted a video of Seifullah’s lecture on Maqdisi’s book, Milleti Ibrakhim. The late Ingushetia-based mujahedin Sheikh Said Abu Saad Buryatskii (the ethnically Russian-Buryat Aleksandr Tikhomirov) also promoted Maqdisi’s works and views on the site of the Ingushetia (Vilaiayta G’ialg’aiche) mujahedin Hunafa.com. The Maqdisi-Astemirov relationship has created a permanent link between the CE and OVKBK, on the one hand, and the global mujahedin, on the other. When Astemirov was killed on 24 March 2010, Maqdisi issued a eulogy. In June, when Maqdisi’s son Umar Izzu-d-Din was killed by U.S. forces in Iraq, the OVKBK issued praises to Maqdisi on Islamdin.com. Even after Astemirov’s demise, the OVKBK and Islamdin.com continue their close partnership with Maqdisi and fascination with his teachings. They continue to publish and translate his works and related documents, as now do the other CE-affiliated websites. A recent example was Islamdin.com’s posting of an appeal from Belgian Muslims to Maqdisi. The substance of Astemirov’s own teachings and his propaganda venue, Islamdin.com, demonstrate and explain the mutual admiration between global jihadi revolutionaries like Maqdisi and their counterparts in the Caucasus. In Astemirov’s last years, the OVKBK qadi had fully embraced the tenets of the most extremist salafi-jihadi ideological and theological orientation. This can be gleaned from his numerous interviews, publications, and lectures. Theologically, he fell well within the extremist salafi tradition. On February 15th, Islamdin.com published a video of the first part of a lecture by Astemirov titled (and later a transcript) “O Tavkhide” (“On Tawhid” or strict monotheism) on Islamdin.com. Tawhid is the central theological tenet for extreme Salafist and Wahhabi Islamists and jihadists, who often refer to themselves as “people of the tawhid”. Tawhidists adhere strictly to the narrowest interpretation of monotheism, rejecting any act of worship addressed to anyone or anything but Allah. Thus, honoring or praying to saints or prophets, including Mohammed, or worshipping their images is forbidden, and for some tawhidists those who engage in this are regarded to be ‘takfir’ or godless and deserving of punishment by death. In “On Tawhid” Astemirov, occasionally citing the Koran in Arabic, argued that no matter how good a person is or how well he observes his community’s norms, customs and traditions, he cannot be a good person if he turns his back on Allah and his word. For all Muslims and mankind, Astemirov averred, the “basic law” is Allah’s word as relayed by the Prophet Mohammed in the Koran. Thus, he stressed that the laws and constitutions of “pagans” are nothing but delusion and condemned the “majority of people”, who now submit to “ungodly leaders”, and the “modern-day pagans”, who falsely claim they are believers and concoct religions that justify “bowing down before voting booths and election urns.” Astemirov rejected secular leaders’ claim to legitimacy based on the support of the people, contrasting them to the true Muslims who claim nothing but “are simpy relaying Allah’s word”, and he called on the followers of other religions to reject their faiths and convert to Islam. He concluded by warning that those who have fallen to delusions have forfeited their protection by Allah. ‘On Tawhid’ has become Astemirov’s chief theological-ideological legacy and is featured on all the CE’s affiliated sites. Paganism is not only the worship of stones and trees. An idol can be a living person whom people endow with divine features. God created people and only He has a right to set boundaries for people of good and evil, only He knows what is good and bad what is true and what is not. Allah not only created people. He also sent them guidances and laws to regulate all aspects of life. But the people gave themselves the right to decide what is lawful and what is criminal while the Law belongs only to Allah. They believe that the laws invented by philosophers and lawyers and then approved by deputies in a parliament are more useful to society than the laws of God. Anyone who really thinks so is not a Muslim, even if he performs prayers and fasts (keeps uraza). The pagans of Mecca who fought against the Prophet Muhammad, peace be upon him and welcome, believed in the existence of Allah but they worshiped their idols, they thought that the law makers were their tribal leaders such as Abu Dzhahl and the like. Many modern Pagans also believe in the existence of God and that He is the Creator but they worship (deify, give divine qualities) various idols: presidents, parliaments, judges etc. On the national question, which is complex in the multiethnic quilt that is the North Caucasus, including Kabardino-Balkaria and Karachai-Cherkessia, Astemirov again held to the standard salafi-jihadi position. Islam trumps nationality: “It is necessary to explain to people that love for the motherland (the place where a person is born and grows up) or love for the native tongue and the people who speak it are natural feelings. But these feelings should not be raised up to the rank of religion or state ideology. It is necessary to explain to our nations that we are part of the Islamic umma and there should be no barriers between Muslims.” An ethnic Kabard, Astemirov says that if Kabard, Balkar, Karachai and/or Cherkess nationalists should rise up against Moscow, the mujahedin “will not hinder” them. However, if nationalists should go to war against Muslims, the mujahedin will intervene in order to “prevent conflict.” He, therefore, called on nationalists to fight “the main devil – Russia” and said that under Islamic rule the land and territorial issues outstanding in the region would be resolved according to Shariah law. In terms of waging violent jihad, Astemirov repeatedly warned anyone working in government that they were legitimate targets of the jihad, especially “police, prosecutors, and judges” as “the standard-bearers of polytheism.” The mujahedin would “try in first order to kill the more ardent enemies of Islam, but this does not mean that the rest can feel safe.” This, though not much of CE practice, corresponds to Maqdisi’s teaching on the preference for more targeted jihadi attacks. In addition, he admonished Muslims from burying in Muslims cemeteries or according to Islamic custom those who support polytheism and its regime in the Caucasus if they fail to repent before death. A review of just some of the materials published on the OVKBK’s website Islamdin.com during little more than a one-month period in early 2010 illustrates the extremist nature of Astemirov’s political propaganda and legacy. On January 9, 2010 Astemirov’s site Islamdin.com was the first CE website to post the famous May 2003 fatwa issued by a once leading ideologist of the global jihadi movement, Saudi Arabian Sheikh Nasr Al’ Fahd, laying out the various Shariah legal justifications for the use of weapons of mass destruction against the ‘infidel’. This was the first time that the CE had openly discussed, no less justified WMD terrorism. The Islamdin.com ‘posting’ is one of many well-known fatwas by the author, who provided theological support for the extreme violence exhibited by jihadist organizations like Al Qa`ida. Fahd was an enthusiastic supporter of both AQ and the Taliban and published other fatwahs authorizing suicide bombings and attacks against women and children before later denouncing them. Islamdin.com published Fahd’s WMD fatwah without noting the author’s subsequent rejection of his past fatwahs. On February 23rd, Islamdin.com posted a videotaped declaration by Astemirov to businessmen dated January 10th. Astemirov, speaking mostly in Russian but reading numerous passages from the Koran in Arabic, condemned those Muslims, presumably in the KBR, who paid alms (using the Russian words obrok and dan meaning poll tax) to an Orthodox priest named Feofan. He said if Muslims pay Christians when in fact Christains should be paying Muslims a tax, then those Muslims should eat pork and be buried in Christian cemetaries. Astemirov said Muslims should pay the Islamic zakat and slay “crusaders”, such as the priest Feofan, who refuse to pay the obrok. Though he claimed the mujahedin do not want anything from them, as Allah would provide for the jihad, he said Muslims are obliged under Islamic law to support the jihad by selling their property, and if they do not they are criminals and will be punished. The Monterey Institute for International Studies has recently opted to combine its very popular and highly regarded M.A. International Policy Studies degree specializations in Terrorism Studies and Nonproliferation Studies into a combined new M.A. Program in Nonproliferation and Terrorism Studies, a program that will now have an even higher profile and greater institutional autonomy. Apart from combining two of the Institute’s strongest academic programs, this will ensure that students take the introductory courses in both subjects but will also allow them to concentrate primarily on either terrorism or nonproliferation (or, if they prefer, to focus on both subjects equally, e.g., on CBRN terrorism). Our students have an exceptionally high success rate getting jobs in these specialized fields. The Institute is also introducing a new one-semester (or one-year) Certificate in Terrorism Studies for professionals or students who wish to obtain specialized academic training in this subject without spending an entire two years in residence. Prospective students can be admitted into this Certificate Program without meeting the somewhat stringent language requirements that regular students must meet. If you know of any students or professionals who might find this new program of particular interest, or who wish to obtain outstanding preparation for careers in these fields, or who wish to obtain further specialized training before going on to obtain a doctorate, it would be very much appreciated if let them know about our new program. Islam, Islamism and politics in Eurasia report (IIPER) is a project of the Monterey Terrorism and Research and Education Program (MonTREP) at the Monterey Institute for International Studies (MIIS), Monterey, California. It focuses on all politically-relevant issues involving or bearing on Islam and ethnic Muslim communities in Russia and Eurasia writ large. All issues of IIPER can be found at http://www.miis.edu/academics/faculty/ghahn/report. IIPER is compiled, edited and, unless indicated otherwise, written by Dr. Gordon M. Hahn. Dr. Hahn is Senior Researcher at the Monterey Terrorism Research and Education Program and Visiting Assistant Professor, Graduate School of International Policy Studies, Monterey Institute of International Studies, Monterey, California. He is also a Senior Researcher, Center for Terrorism and Intelligence Studies (CETIS), Akribis Group and Analyst/Consultant for Russia Other Points of View – Russia Media Watch, http://www.russiaotherpointsofview.com. He teaches courses on both politics and terrorism in Russia and Eurasia at MIIS. Dr. Hahn is the author of two well-received books, Russia’s Islamic Threat (Yale University Press, 2007) and Russia’s Revolution From Above (Transaction, 2002) as well as numerous articles on Russian, Eurasian and international politics. IIPER welcomes submissions of 1,500-6,000 words on any aspect of Islamic politics in Eurasia and financial contributions to support the project. For related inquiries or to request to be included on IIPER’s mailing list, please contact gordon.hahn@miis.edu or gordon-hahn@sbcglobal.net. Research assistance for IIPER is provided by Leonid Naboishchikov, Daniel Painter, and Daria Ushakova. “Siloviki: za shest mesyatsev tekushchego goda v Chechne ubity 49 boevikov,” Kavkaz uzel, 17 July 2010, 04:14, http://www.kavkazuzel.ru/articles/171745/. “Kabardino-Balkaria: khronika vrzyvov, obstrelov i teraktov,” Kavkaz uzel, 23 July 2010, 18:00, http://www.kavkaz-uzel.ru/articles/172027/. “Zaveshchanie Abdul-Malika: ‘Ya ukhozhu na Istishkhad, chtoby pozhertvovat’ svoei dushoi vo imya Allakha!’,” Kavkaz tsentr, 29 July 2010, 12:04, http://www.kavkazcenter.com/russ/content/2010/07/29/74167.shtml. “V Chechne ubit predpologaemyi boevik-smertnik,” Kavkaz uzel, 9 May 2010, 12:10, http://www.kavkaz-uzel.ru/articles/168609/. “MVD Tadzhikistana: Pri vzryve u zdaniya ROBOP v Khudzhande pogib militsioner, smertnikov bylo neskol’ko,” Ferghana.ru, 3 September 2010, 14:26, http://www.ferghana.ru/news.php?id=15461&mode=snews. “Tadzhikistan: Shakhid atakoval bazu RUBOP Sogdiiskii oblasti,” Kavkaz tsentr, 3 September 2010, 11:39, http://www.kavkazcenter.com/russ/content/2010/09/03/75000.shtml. “Perestrelka s beglymi zaklyuchennymi proizoshlo v Tadzhikistane, rossiiskie voennyie v operatsii ne uchastvuyut,” Materik, 8 September 2010, 11:21:16, http://materik.ru/rubric/detail.php?ID=10653. “Tadzhikistan: Otvetstvennost’ za Shakhidskuyu ataku v Khudzhande vzyala na sebya organizarsiya ‘Dzhamaat Ansarullakh’,” Kavkaz tsentr, 8 September 2010, 12:23, http://www.kavkazcenter.com/russ/content/2010/09/08/75108.shtml. “Tadzhikistan: Po faktu vzryva v nochnom klube v Dushanbe zaderzhany dvoe podzrevaemykh,” Ferghana.ru, 6 September 2010, 10:14, http://www.ferghana.ru/news.php?id=15470&mode=snews. “GKNB Tadzhikistana: Nochnoi vzryv v disko-klube ‘Dusti’ – khuliganstvo, a ne terakt,” Ferghana.ru, 6 September 2010, 13:57, http://www.ferghana.ru/news.php?id=15475&mode=snews. “Perestrelka s beglymi zaklyuchennymi proizoshlo v Tadzhikistane, rossiiskie voennyie v operatsii ne uchastvuyut,” Materik.ru, 8 September 2010, 11:21:16, http://materik.ru/rubric/detail.php?ID=10653. “Na vostoke Tadzhikistana idut boi modzhakhedov s decantom russkikh terband,” Kavkaz tsentr, 8 Septmber 2010, 14:45, http://www.kavkazcenter.com/russ/content/2010/09/08/75117.shtml. Imarat Kavkaz. Ob”edinennyi Vilaiet Kabardy, Balkarii i Karachaya,” Islamdin.com, 31 March 2009, 01:17, http://www.islamdin.com/index.php?option=com_content&view=article&id=376:1-r&catid=2:kavkaz&Itemid=3 and Ob”edinennyi Vilaiyat KBK. ‘Osistematizatsii meropriyatii, provodimykh v ramkakh I’dada,” Kavkaz tsentr, 31 March 2009, 07:28, http://www.kavkazcenter.com/russ/content/2009/03/31/64789.shtml..
 See Gordon M. Hahn, “The New Amir of the CE’s OVKBK and Kabardino-Balkaria’s Spring Wave of Terrorism,” IIPER, No. 16, 7 June 2010, http://www.miis.edu/media/view/20765/original/KAVKAZJIHAD_MonTREP_IIPER_16_1June2010__1_.pdf; Gordon M. Hahn, “Caucasus Emirate Terrorism, May 2010,” IIPER, No. 17, 21 June 2010, http://www.miis.edu/media/view/20829/original/KAVKAZJIHAD_MonTREP_IIPER_17_June2010.pdf; and Gordon M. Hahn, “Caucasus Emirate Terrorism Statistics for June and January-June 2010,” IIPER, No. 19, 22 July2010. “Amir Saifullakh (Anzor Astemirov) dal interv’yu Dzheimstounskomu Fondu,” Kavkaz tsentr, 26 March 2009, 13:41, http://www.kavkazcenter.com/russ/content/2009/03/26/64698.shtml and Fatima Tlisova, “Exclusive Interview with Anzor Astemirov,” North Caucasus Analysis, Volume 10, Issue 11, 20 March 2009, 05:10, http://www.jamestown.org/single/?no_cache=1&tx_ttnews%5Btt_news%5D=34744&tx_ttnews%5BbackPid%5D=7&cHash=740544059f. “Posthumous Astemirov Letter Points to Presence of Jihadist Moles in Russian Army and Intelligence,” MEMRI Jihad and Terrorism Threat Monitor Project, Special Dispatch 2890, 5 April 2010, http://www.memrijttm.org/content/en/report.htm?report=4080&param=GJN. “Otvety na voprosy k”adiya Imarata Kavkaz, amira Ob”edinennogo Vilaiyata Kabardy, Balkarii i Karachaya, Saifullakha,” Islamdin.com, 12 December 2010, 14:54, http://www.islamdin.com/index.php?option=com_content&view=article&id=594:2009-12-12-14-58-15&catid=27:2009-02-09-17-38-17&Itemid=16. Gordon M. Hahn, “Abu Muhammad Asem al-Maqdisi and the Caucasus Emirate,” Islam, Islamism, and Politics in Eurasia Report, No. 6, January 8, 2010, http://www.miis.edu/media/view/19061/original/iiper_6.doc. See Movladi Udugov’s debate with Zakaev. See, for example, “M. Udugov: ‘Vsyo, chto ne sootvetstvuet Shariatu nelegitimni’,” Kavkaz-Tsentr, http://www.kavkazcenter.net/russprint.php?id=40872. Udugov’s article was a response to Zakaev, who defended a policy of complying with international law and working through the UN and Western international organizations like the OSCE and Council of Europe to defend the ChRI, signaling a fundamental split among the Chechens. See “Akhmed Zakaev: ‘Zamenchaniya k nekotorym razmyshleniyam i vyskazyvaniyam’,” Kavkaz-Tsentr, 31 December 2005, 21:59:41, http://www.kavkazcenter.com/russ/ content/2005/12/31/40660.shtml. “A. Zakaev: ‘Proekt “Emirat” – eto spetsoperatsiya FSB RF’,” Chechenpress.org, 23 October 2007, http://www.chechenpress.org/events/2007/10/23/index.shtml. Militant Ideology Atlas – Executive Report, U.S. Military Academy’s Combating Terrorism Center, November 2006, p. 8. Murad Batal al-Shishani, “Salafi-Jihadis and the North Caucasus: Is There a New Phase of the War in the Making?,” Terrorism Monitor, Jamestown Foundation, July 8, 2010, Volume VIII, Issue 27. “A message from Sheikh al-Maqdisi to the Mujahedeen of the Caucasus Emirate,” Kavkaz tsentr, 18 September 2009, 16:55, http://www.kavkazcenter.com/eng/content/2009/09/18/11018.shtml; first published in Arabic on al-Maqdisi’s site ‘Almaqdese.net’, 15 Ramadan 1430, http://almaqdese.net/r?i=07090901. “Amir Saifullakh o knige sheikha Abu Mukhammada al’ Makdisi ‘Milleti Ibrakhim’,” Islamdin.com, 18 February 2010, 08:03, http://www.islamdin.com/index.php?option=com_content&view=article&id=656:-q-q-&catid=7:2009-02-04-15-45-20&Itemid=8. Imam Abu Mukhammad Al’-Maqdisi, “Razmyshleniya,” Hunafa.com, 11 December 2009, 12:00, http://hunafa.com/?p=2530. Abu Mukhammad Al’-Makdisi, “Kniga vedet, a Mech pomogaet,” Islamdin.com, 30 March 2010, 06:15, http://www.islamdin.com/index.php?option=com_content&view=article&id=702:2010-03-30-01-34-06&catid=27:2009-02-09-17-38-17&Itemid=16. Press-cluzhba pri shtabe Vooruzhennykh Sil Ob”edinennogo Viliaiyata KBK IK, “Chernila, kotorymi pishetsya istoriya Islamskoi ummy,” Islamdin.com, 13 June 2010, 16:07, http://www.islamdin.com/index.php?option=com_content&view=article&id=803:2010-06-13-20-24-01&catid=32:2009-03-05-23-19-06&Itemid=29. “Obrashchenie musul’man Bel’gii k imamu Abu Mukhamammadu al’-Makdisi za naztavleniem,” Islamdin.com, 22 June 2010, 19:01, http://www.islamdin.com/index.php?option=com_content&view=article&id=814:2010-06-22-19-09-08&catid=25:2009-02-09-17-15-12&Itemid=17. “Amir Saifullakh: ‘O Taukhide’ – 1 chast’,” Islamdin.com, 15 February 2010, 01:37:27, http://www.islamdin.com/index.php?option=com_content&view=article&id=651:-q-q-1-&catid=7:2009-02-04-15-45-20&Itemid=8. and Kavkaz tsentr, http://kavkazcenter.com/russ/content/2009/12/13/69618.shtml. 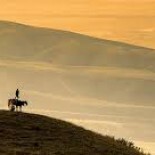 For an English translation see “The Questions and Answers by Emir Seifullah, the Qadi of the Emirate Caucasus and the Wali of Province KBK,” Kavkaz tsentr, 6 February 2010, 18:44, http://www.kavkazcenter.com/eng/content/2010/02/06/11383.shtml. 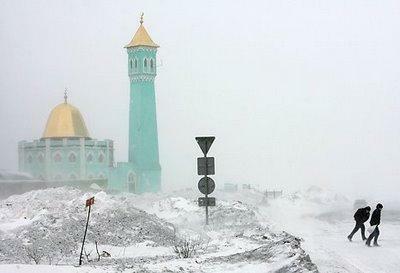 See “Issledovanie o pravovom statuse ispol’zovaniya oruzhiya massovogo porazheniya protiv nevernykh,” Islamdin.com, 9 January 2010, 12:37, http://www.islamdin.com/index.php?option=com_content&view=article&id=614:2010-01-09-13-06-19&catid=4:2009-02-04-14-07-09&Itemid=28. On Fahd’s later renunciation of his previous views, see Reuven Paz, “Yes to WMD: The first Islamist Fatwah on the use of Weapons of Mass Destruction,” Project for the Research of Islamist Movements (PRISM), PRISM Special Dispatches, Vol. 1, No. 1, May 2003. “Amir Seifullah: ‘Obrashchenie k kommersantam’,” Islamdin.com, 23 February 2010, 21:09, http://www.islamdin.com/index.php?option=com_content&view=article&id=660:-q-q&catid=7:2009-02-04-15-45-20&Itemid=8. “Voistinu, my prinadlezhim Allakhu I k Nemu my vernemsya,” Islamdin.com, 25 March 2010, 08:23, http://www.islamdin.com/index.php?option=com_content&view=article&id=696:2010-03-25-08-36-05&catid=2:kavkaz&Itemid=3. “Amir Saifullakh (Anzor Astemirov) dal interv’yu Dzheimstounskomu Fondu” and Tlisova, “Exclusive Interview with Anzor Astemirov”.